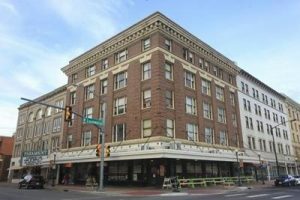 You’ll find us in the heart of downtown Cheyenne, in Suite 510A of The Majestic Building. The physical address is 1603 Capitol Ave. When you come inside, you’ll discover a beautiful vintage landmark. Please find your way up to the 5th floor by riding in the oldest working manually operated elevator West of the Mississippi. After a quick elevator ride, we invite you to have a seat in our welcoming, cozy, 5th-floor waiting room. Your therapist will come out and greet you, then bring you into the warmth of our offices. There, we’ll help you reclaim your best life, whether that’s supporting you in finding your joy, guiding you in healing from painful experiences, or rekindling the spark in your marriage. Throughout this journey of recovery and healing, you’ll be treated with the respect, kindness, and support you’ve be waiting for.